Richard Jerrett was the Liberal Democrats candidate in Ely in the Cardiff local election. Our volunteers have been adding information on Richard Jerrett - here's everything we know so far! Richard grew up in Ely and Caerau. A former resident of Parker Place, he attended the local Hywel Dda, Trelai Primary and Glyn Derw High schools. Richard knows how much Ely has been neglected by Labour councillors. 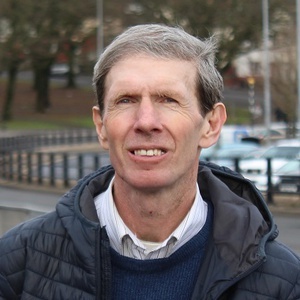 Having spent eight years as a Cardiff Councillor, Richard Jerrett knows how to fight for the residents of Ely and Michaelston. months. Our roads and pavements are in a sorry state. “I’m standing in this election to demand better for the community I grew up in. This statement was added by Richard Jerrett, their team, or by a Democracy Club volunteer, based on information published by the candidate elsewhere. If you can add information that should be on this page - such as Richard Jerrett's CV, homepage, twitter account please use our crowdsourcing website to add it.